By combining sound and style, VQ are proving to be quite a hit in the home audio market at the moment. With sophisticated retro designs and superior sound quality, people are raving about their range of digital radios. Lark Digital Radio: What’s in the box? Aesthetically, this is nice. 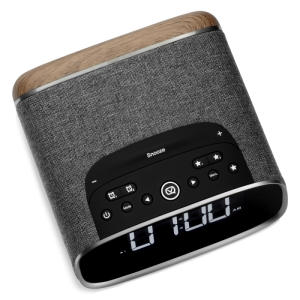 The shape is that of the 80s/90s radio alarm clock (with red LCD numbering), but the black and walnut finish together with its minimalistic look makes it look cool. You can feel the quality of it when you hold it. Upon plugging it in, the 4” high contrast ultra-wide angle screen comes to life. The cool-grey display has an auto-dimmer which means you can check the time day or night, but you don’t get that annoying ambient light. This crystal clear screen is framed with chrome detailing in a timeless modern style. To set it up, I have to use the instruction book. It’s small, but thick and VQ dedicate a well written step-by-step guide to each function on each page. It makes set-up simple, which means checking out that all-important sound happens quickly. After a quick scan, the DAB channels are ready and I flick to Absolute Radio. The sound kicks in, and I’m shocked that this device has such a great output. This is without tinkering with the equaliser. There’s a sweet, soft bass sound quality, which is consistent across a number of stations. Impressive when listening to music, radio plays and talk-shows. It’s got a bass radiator on the underside of the unit, that make it good on the ears. It’s without doubt a piece of premium audio equipment, and since owning the Lark Digital Radio, I’m enjoying listening to the radio before I go to bed. And for the last few years, my phone has given me my AM wake-up call. Now, for the first time since my school days, I’ve set a radio alarm clock to wake me in the morning. And this is something I really like about the Lark Digital Radio. When my phone goes off in a morning, it’s quite a startling start to the day, and I rummage around to find the thing and hit snooze. It’s a totally different story with this radio though. When the clock hit 6.10am, the sound coming out of it is so good that it’s a more peaceful, more soothing way to come out of your slumber. It’s a much nicer way to wake up and I’m only wanting to hit the snooze button when I realise I’ve got Vanessa Feltz to listen to between songs for the next 20 minutes! With some brilliant features, I can connect the my phone up to the Lark Digital Radio via Bluetooth and play my own music and playlists. That’s a plus point. And the two USB ports on the back of the unit lets me charge my phone through the night, and not have to worry about plug space. 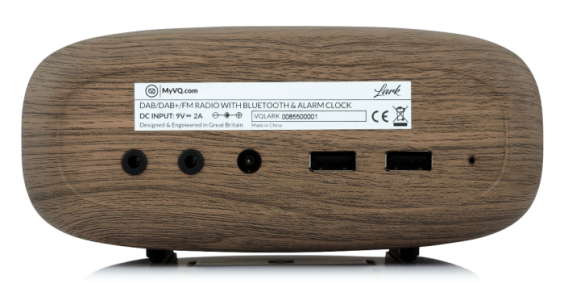 Retailing at £99, the VQ Lark Digital Radio is a fantastic addition to my lifestyle. As well as this, it sits next to the bed and looks great. 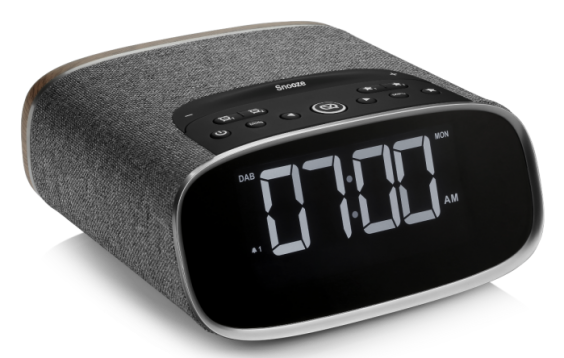 No-one wants to wake up in a morning…but this piece of kit makes it that little bit nicer. How Do I Get Google to Love My Site? What’s the Best Monitor Panel for Gaming?